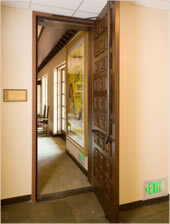 Sound control can be an important element in some buildings or certain rooms within a building. 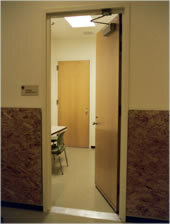 To meet sound transmission specifications, All Noise Control DoorSystems offers a wide range of acoustic doors. 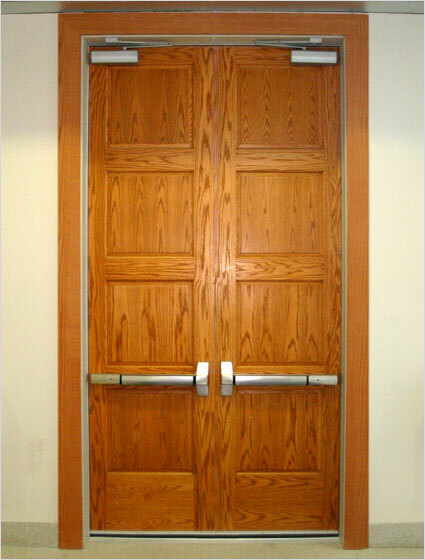 All Noise Control DoorSystems wood and metal acoustical doors and sound control windows, are used in premier live performance venues and industrial applications where noise and sound control is of primary concern. 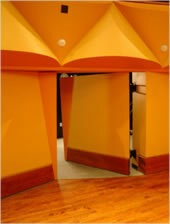 Acoustical doors and other sound control products can be manufactured for multiple performance requirements including bullet resistance, blast resistance, thermal protection, radio frequency shielding or any combination thereof. Recommeded Max. V/L Area 300 SQ. IN. All Moise Control offers standard frame designs and can engineer special frame profiles to complement wall construction and architectural style. 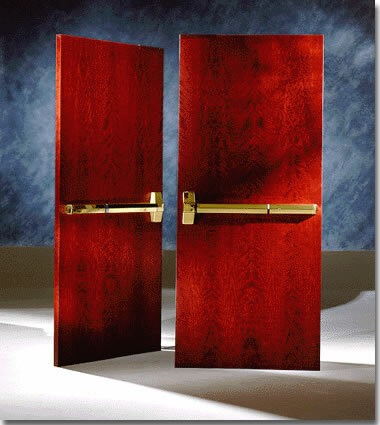 All Moise Control acoustical doors are delivered as complete, performance guaranteed acoustical assemblies with seals, hinges, and threshold included. 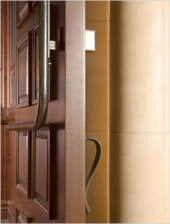 Our designs also interface with the locks and accessory hardware you have chosen for your project. 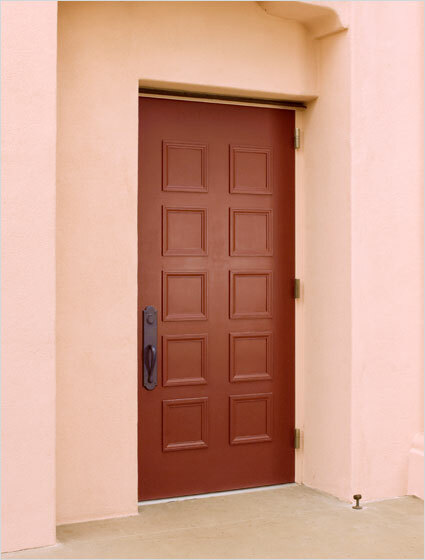 Wood veneer doors may be sand-finished, primed, sealed with conversion synthetic sealer or completely prefinished prior to shipping. 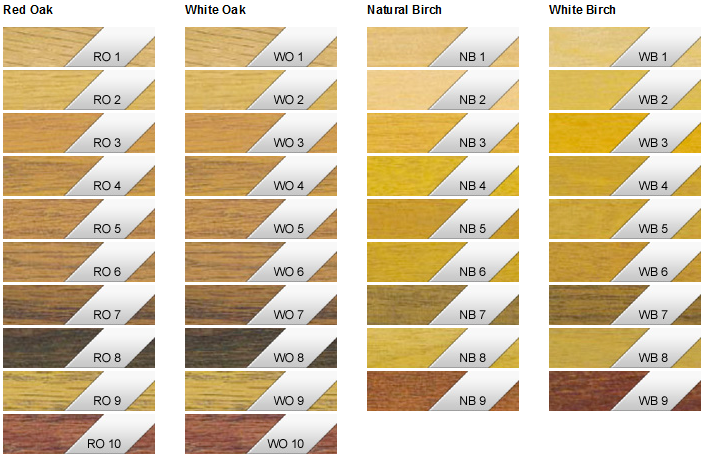 Choose from any wood stain or send us a sample you wish to match.